Disclaimer: I received an ARC of this novel from the publisher in exchange for an honest, and hopefully spoiler-free, review. 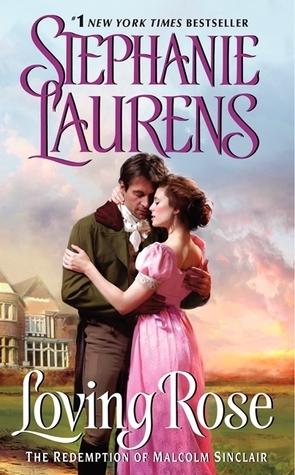 As I raved in my review post for The Masterful Mr. Montague, I adore Barnaby and Penelope as a mystery-solving couple, so I started reading Loving Rose: The Redemption of Malcolm Sinclair by Stephanie Laurens – book three in the Casebook of Barnaby Adair series – with gleeful anticipation. Miraculously spared from death, Malcolm Sinclair erases the notorious man he once was. Reinventing himself as Thomas Glendower, he strives to make amends for his past, yet he never imagines penance might come via a secretive lady he discovers living in his secluded manor. ← Emmy Hopes and Predicitions: Drama Categories!